Assault Spy Gets a New Update | NIS America, Inc. The Final Boss is Legit and More Functionality! 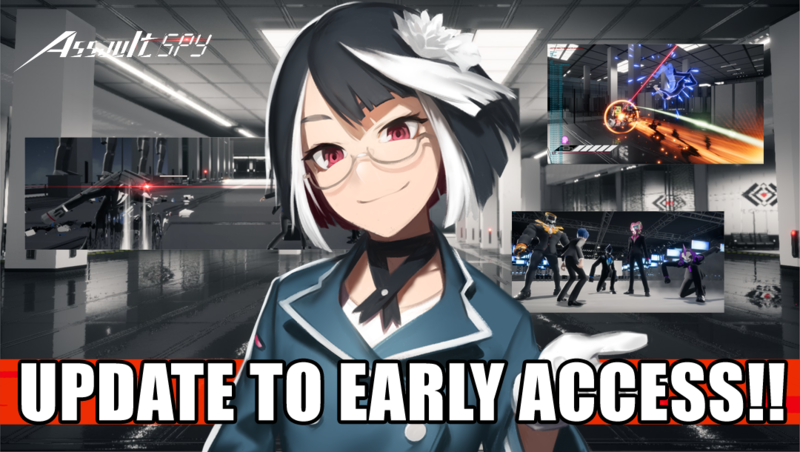 Another update has been added to the Early Access build for Assault Spy! This update includes the final boss and thrilling conclusion to Asaru’s side of the story along with several quality of life additions that allow you to get right back into the action! After completing the Back Lot stage, you’ll finally reach the Executive area, where the masterminds behind the terrorist takeover have been hiding.., there is a new enemy you are to fight in this area but they have not been created yet. The current enemies in this area are a placeholder for now. However, please look forward to the final boss that has been added into the Executive Area. When the final boss is defeated an ending cutscene will play. When this ending cutscene is complete, a “clear game flag” is added to your save file and you will be returned to the main menu. A ★ will appear next to your save file to show that you have completed the adventure! If you continue from this save file, you will start at the beginning of the prologue. A new function has been added to the Options Menu that will let you automatically skip cutscenes so you can get right back into the action! Thank you to all who have been playing through the Early Access version of Assault Spy so far! We are happy to have been able to improve this game so far thanks to your feedback and we are excited to continue working with you to make Assault Spy the best that it can be! Stay tuned for more updates in the future and we look forward to improving the game with you then! To those who have not joined in just yet—don’t worry! You can still join Early Access now on Steam for a special discounted price for a limited time! Help take back the Negabot corporation today!